Sandra L. Todd went home to be with her Heavenly Father on August 20, 2017 after a long battle with Vascular Dementia. She was born in Kalamazoo, MI on July 2, 1936 to the late Harold J. and Marjorie F. Moore. She grew up helping her parents build and run Echo Valley in Kalamazoo, MI, and she graduated from Richland High School, Richland, Michigan in 1954. She worked at Upjohn before meeting her husband Albert W. Todd, Jr., “Bill”, on a blind date. They were married on September 6, 1958. In 1972 they relocated to Orlando, FL and subsequently resided in Ocoee, FL. 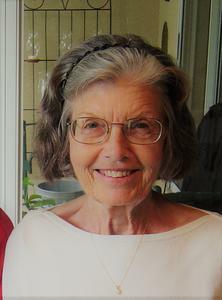 Sandra was a devoted wife, mother and grandmother. She loved singing in the church choir at First Baptist Church, Orlando and was the church’s dedicated mail clerk for over twenty years. As an accomplished baker, she made exceptional pies and coffee cakes. Many beautiful quilts and crocheted throws were made by her gifted hands, along with clothing that she sewed. She had a smile for everyone and was known by her kind and generous spirit. She was loved by all who knew her. Sandra is survived by her husband Bill, her daughter, Lisa (Tom) Headley, and son, Jason Todd; her brother Jim Moore, and sister, Debbie Belardinelli; and six grandchildren: Katie (João) Taurisano, Jennifer, Laura, Thomas, and Emily Headley, and Samantha Todd; and one great-grandchild: John Taurisano. Sandra was predeceased by her sisters Janet VanTilburg and Karen Wendzel. A memorial service will be held for family and friends at the Betzler Life Story Funeral Home at 6080 Stadium Drive, Kalamazoo, MI on Saturday, August 26, 2017 at 11:00 AM. In lieu of flowers, memorial gifts may be made to the Music Ministry at First Baptist Church of Orlando, FL, 3000 S. John Young Parkway, Orlando, FL. 32805 or the Alzheimer’s Foundation of America, 322 Eighth Avenue, 7th Floor, New York, NY, 10001. The family wishes to extend their gratitude to Serenades by Sonata of Winter Garden, FL and also Vitas Hospice for the care provided to her these last years of her life.